We know, the traffic is getting worse out there. We think it's all the food trucks. And here comes another one. But hold tight, because this one brings together two of the world's great sandwiches: the almighty Cuban and the best-in-show banh mi. 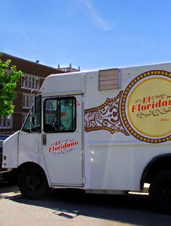 It's called El Floridano, and it begins rolling next week. It's an international melting pot of a food truck, slinging your favorite sandwiches from parts near and far from a converted US Postal Service truck. But unlike your local PO, the chef delivers on time and will actually smile at you through the window. 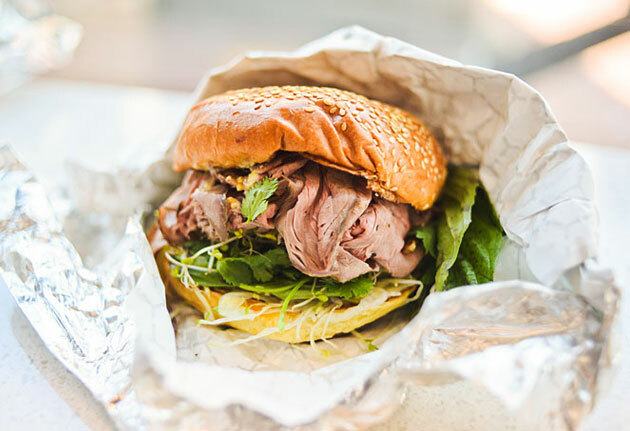 Your options: the Ho Chi Banh Mi (turkey meatloaf, pickled mango, tamarind BBQ sauce) and a classic pressed Cuban sandwich he calls The Fidel, not to mention soups and a rotating array of Rice Krispies treats. The truck will begin its test rounds next week, making unannounced stops around town. (You'll have to listen for the Buena Vista Social Club emanating from the truck's speakers, but we can say that 18th and M might be a good guess.) Beyond that, you know what you'll have to do: yes, follow him on Twitter to find out when you need to duck out of your meeting with that screenwriter (the one studying "the real Washington") for a ham and pork fix. You hate it when ham has to stand alone.